A release long in the making, and finally come to fruition thanks our good friends at FinRecords.com, LostSoundTapes.com and CurlyCassettes.com, with whom we split this release. Please go check them out, as they all make some pretty incredible stuff. The LP comes on beautiful sea-blue vinyl, in full color jackets, and includes an instant download. 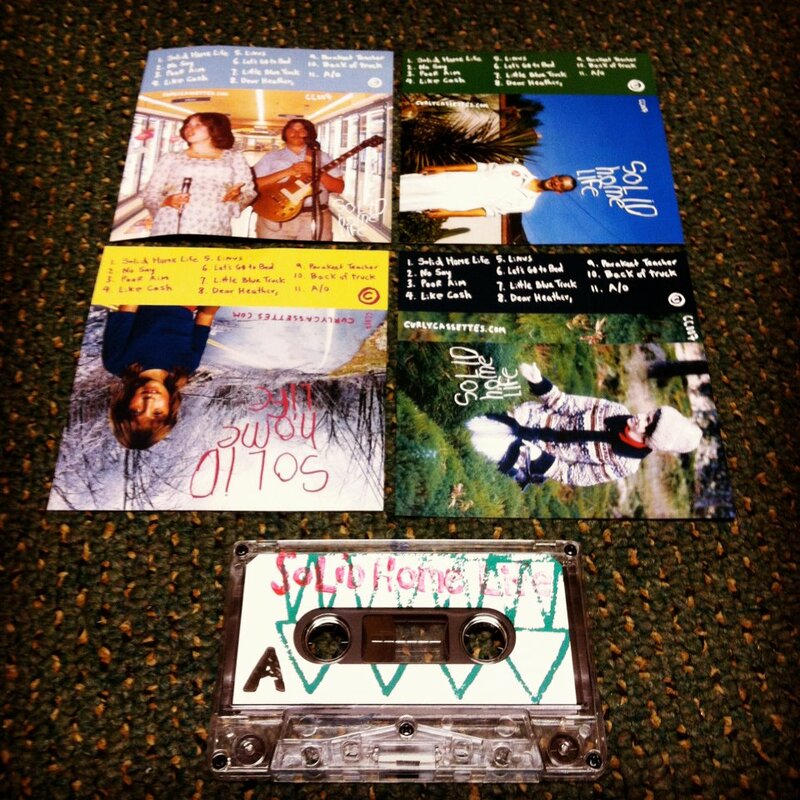 The Tape comes in five different covers and also includes the instant digital download. Get all formats for one low price! Solid Home Life is like the old lace that people used to make before there were machines, have you ever seen that stuff? It is a delicately woven together document of love, loss, and the mundane wrapped gently in a fiery and transcendent joy. Each track communicates personal messages from co-writers Lindsay Schief (LAKE) and Greg Olin (Graves). They are singing to each other, to others and luckily, to us. It feels as it may fall apart because it so fine, any misstep and the fabric would crumble. Nothing falls apart, and un-ironic charm moves each thread through the hoop. From the traditional folk structures to calypso rhythms, every track on Solid Home Life weaves a pattern that hooks the ear. In 2010 the duo lived together in Southeast Portland, OR and spent time roasting meats, drinking beer, and writing songs. Friends were woven in and adding an organ riff here and a sax solo there. Karl Blau (of Karl Blau, Laura Veirs, and Earth), Brian Wright (of Graves/Gold Leaves), Cory Gray (Carcrashlander), Nate Ashley, Jess Madris, Johnny Zeigler (of Strength), Matthew Johnson (of Natural Bridges) and Lindsay’s sisters Steph and April Schief (of The Mona Reels) all lent a hand. By the time Lindsay moved out the two decided to record a final song and then had an album of material that they decided to share. 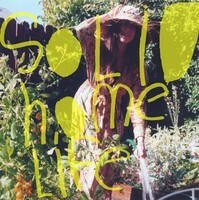 This goodbye song and title track “Solid Home Life” starts the album out. It is a departure duet. Acoustic guitar, trap kit, and organ orchestrate the end of this short songwriting partnership. Lindsay sings, “I left a boxspring and couple of chairs” and it’s true. One of the chairs went missing afterwards as you can read about in the liner notes. Greg sings his reply, “Come visit me whenever you can” and the chorus is so much what we wish it could be like when it ends. You gotta listen to the thump thump thump. “Poor Aim” has Lindsay singing to the object of her affection, in the building above, as she coos about her plight – sliding about on the roof of a pick-up truck in the rain tossing change at the window of her beloved. Accordion, saxophone, acoustic guitars accompany and harmonies ring in. Turns out she has fairly bad aim and they’ll just have to hang tomorrow. Closing the album is the all handclapping calypso vibe “A.O.”. Fixing stuff around the house and taking care of each other. Taking care of the place we live, sleep and eat and make our music. 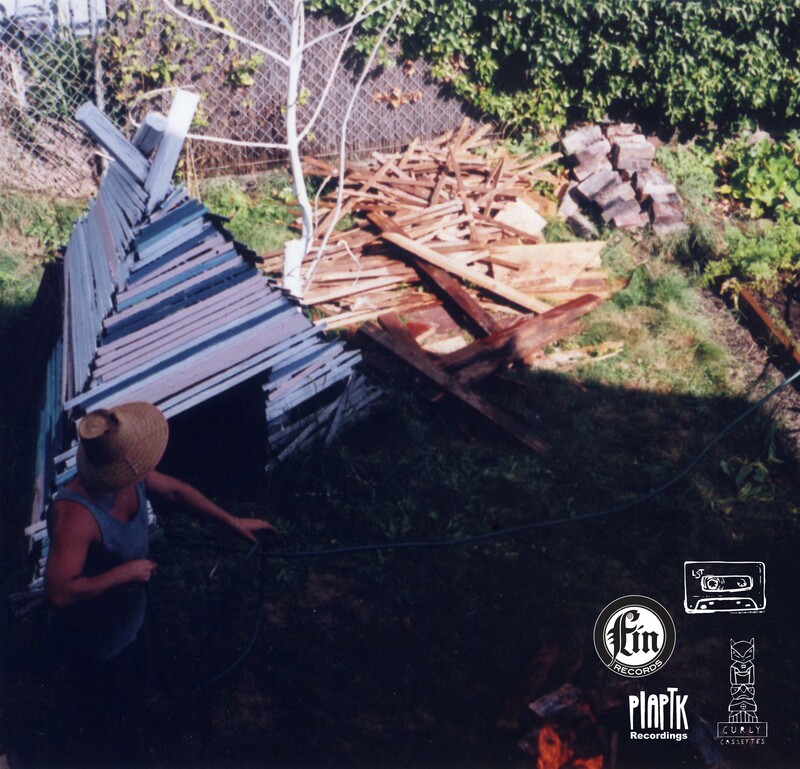 Trumpet, acoustic guitar, chickens, acorns and Greg and Lindsay’s sweet and honest vocal interplay complete the record in a pitch perfect fashion. Each of Solid Home Life’s songs is a little slice of songwriting perfection, and frankly, a glimpse in to two people’s worlds when they were once one. But the real joy, and what Solid Home Life is all about is seeing past the mundane and seeing the worth of each fiber in this life. Beautiful, simple and, actually, simply badass. Limited Edition of 500 copies in Full color jackets.